The 5.56 SHIELD is a relatively new comer to Gemtech’s line of Extreme Duty Suppressors. Don’t let it’s age fool you though, it still passes all of the rigorous SOCOM evaluation standards. The Shield hosts a titanium baffle stack with a reinforced Inconel blast baffle. 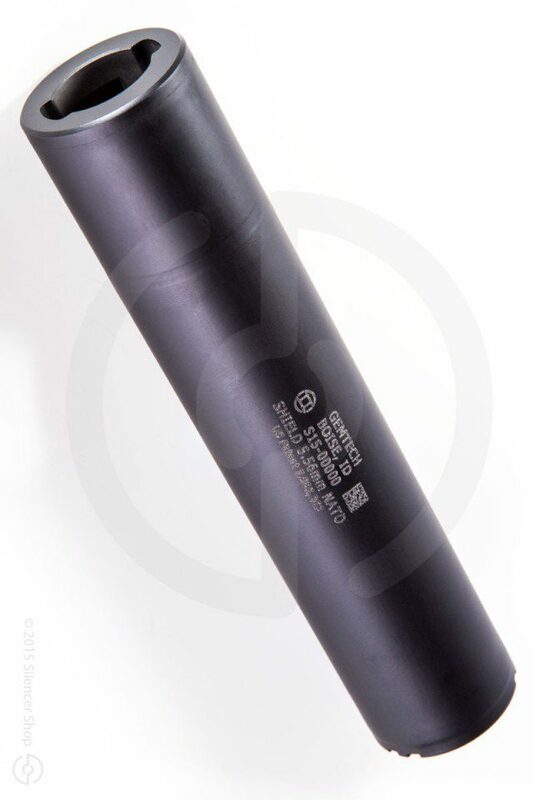 These materials work in concert with one another to create a silencer that is both light weight and yet durable enough for heavy full-auto or short-barreled use. The Gemtech Bi-Lock mount (not included) is a simple one-hand operation quick disconnect system.